Salt to the Sea is why I read historical fiction. 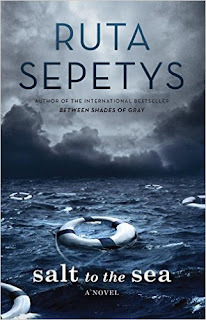 Ruta Sepetys has taken a historical event I've never heard of, the sinking of the Wilhelm Gustloff, and connected me to it forever. After finishing the book, I searched out more information about the tragedy. This is exactly what teachers want readers to do-- be inspired to learn more. Told from the perspectives of four teenagers, the novel gives various reasons why they are on the run from the Nazis and eager to board the ship. At first, it was a challenge to keep track of the back stories of each character, but then I was totally hooked and eager to find out their fates. Once I figured out that the fate of the Wilhelm Gustloff wasn't good, I decided not to look up the tragedy and learn about it in real time. I was horrified to learn that over 10,000 people were packed onto a ship built for 1,500. Even if it wasn't torpedoed, the conditions on the ship would have been unimaginable. I was totally engrossed, but don't know if teenagers would choose to read this independently. It would be a great addition to a unit on WWII or as a book club selection. 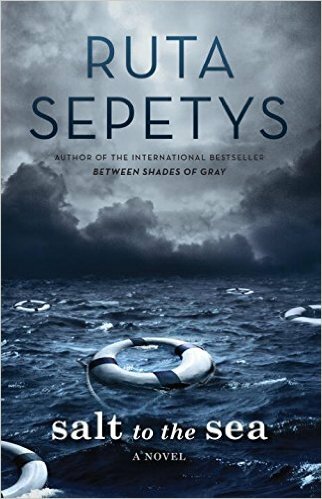 It should be read because the tragedy of the Wilhelm Gustloff should not be ignored. Most Kindle owners have probably experienced the realization at 95% finished that there is no way the story can wrap up in time. That was how I realized The Wrath & The Dawn is the first in a series. 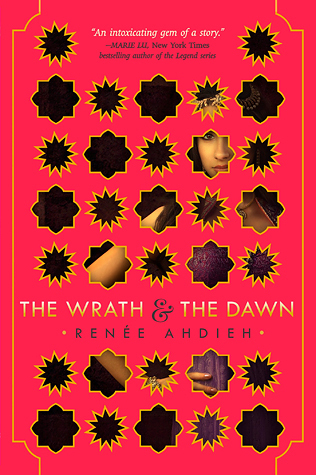 In an interesting retelling of A Thousand and One Nights, we learn of Shahrzad, who volunteers to marry a murderous Caliph who killed her best friend. She enters the relationship, bent on revenge, but ends up falling for Khalid. While her feelings have changed, everyone else still wants him dead. Now she must choose between her past with her family and her future with her love. 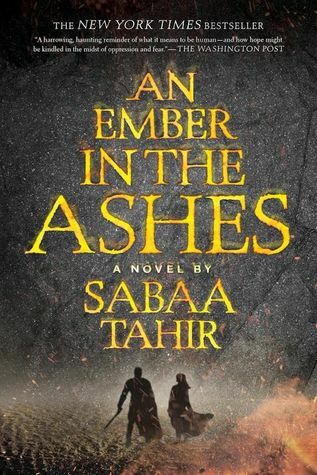 I was refreshed by reading a novel set in a time and place I haven't encountered much before. I enjoyed the rich details and characterization. Unfortunately, the novel kept diverting to the story of Shahrzad's father's strange quest for revenge, which was usually when I took a break. Still, I can't wait for the next book and hope that there is more romance in the sequel. 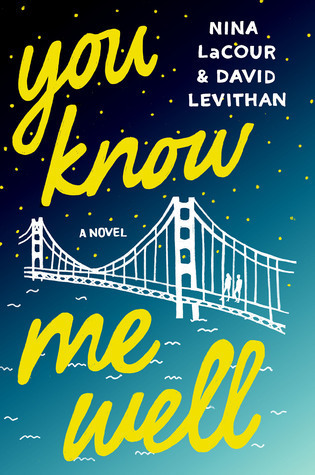 David Levithan loves writing novels with a co-author, alternating perspectives of two characters. I usually like books with this plot device and I always love books written by Levithan, so You Know Me Well was a perfect fit. Mark is a gay baseball player who is in love with his best friend, and Kate is an artist who is soon to meet the girl of her dreams. They spent most of senior year sitting next to each other and never speaking, but during San Francisco's Pride Week, they become the most important person in each other's world. I am so happy this book exists. 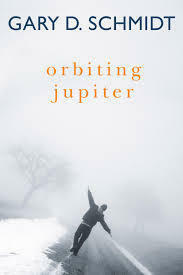 The writing is gorgeous and nobody writes about being a gay teenager better than Levithan. I can imagine that his novels are a safe haven for many readers. Levithan writes so beautifully that reading the first few pages always catch me by surprise and when I finish the book, I am left wanting more. I love stories that are about growing apart from one's friends and realizing that it is normal to outgrow friends as you become who you really are. This is definitely for a high school audience, so I won't be sharing it with my students, but I will recommend it to teens and adults who are looking for a wonderful book. 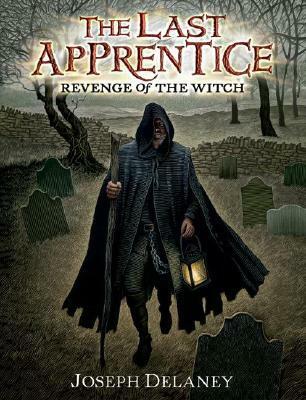 I loved The Ranger’s Apprentice and have been eager to read more by John Delancey. When I saw that a different series, The Last Apprentice, was available through the library’s Overdrive account, I was eager to enjoy the audiobook. What awaited me was the perfect level of horror for a middle grade reader. The Revenge of the Witch follows Tom, the seventh son of a seventh son, who has very few options now that it is time for him to begin working. All of his older brothers have been placed in the desirable jobs, so Tom is left to become the Spook’s apprentice. In his training, he is to learn how to protect the local villages from boggarts, ghosts, and other evil spirits. Luckily, Tom has always found it easy to sense these things and his Mam tells him he was born for the job. But once the training begins and Tom gets on the bad side of an evil witch, he wonders if he should try to escape his destiny. It’s challenging to write a scary book for middle grade readers. If it isn’t scary enough, they’ll complain that it’s for babies. If it’s too scary, they won’t finish it or they’ll have nightmares. Delancey manages to find the right balance. There is gore: flesh cakes and stories of skinning people; but the scares are more related to suspense: the sound of boots on the basement steps and walking through a graveyard where witches are buried. Christopher Evan Welch's narration of the audiobook is perfect, particularly the screeching witch's voice. He transported me to a gloomy British village, which is quite a feat since I listened to it on a Bahamian beach! I was happy to learn that there are many more books in this series. I'm eager to read them all and pass them along to my students who want to be scared, but not terrified.